Accident benefits are designed to provide you with financial stability while in recovery following a motor vehicle accident. 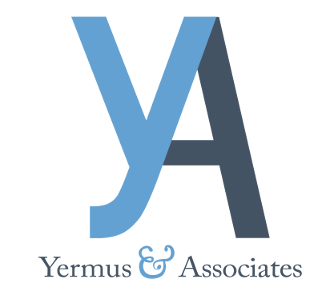 Yermus & Associates, and his legal team assist clients in Toronto and throughout the Greater Toronto Area (GTA) in making accident benefit claims. Our goal is to help clients maximize the amount of benefits to which they are entitled for their medical expenses, rehabilitation expenses and income replacement. Contrary to popular belief, making a claim for accident benefits should not affect your insurance premiums. Premiums are set by your personal driving record. Therefore, making a claim will not affect your ability to obtain insurance coverage in the future. Making a claim for accident benefits can be straightforward. However, the assistance of an experienced Toronto accident claims lawyer can prove beneficial in navigating the claims process. We personally guide clients through the process, taking steps to ensure all procedural requirements and deadlines are met. Additional benefits may be available in cases resulting in catastrophic, life-altering injuries such as traumatic brain injuries, amputations or paralysis, where the costs of care will likely be a lifelong expense. We seek to help clients obtain the maximum amount of benefits and compensation to which they are entitled by law. For honest counsel on making an accident benefits claim, please contact us at 416-229-4878 (HURT) to schedule a free initial consultation.